A near-one million acre site in Argentina deemed to be perfect for vine growing has gone on sale for £6 million. The 989,000 acre plot is the biggest ever to come up for sale in the world and is three-and-a-half times the size of Hong Kong. 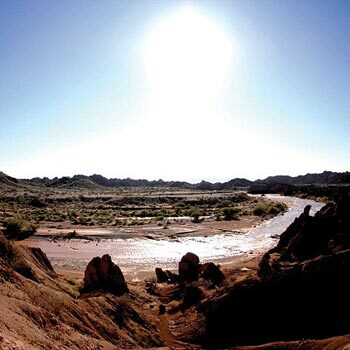 The Estancia Punta del Ague – which translates as the Estate of the Tip of the Water – is sited in the San Juan province in western Argentina and is close to the Chilean border. Its wine-growing potential has already reportedly attracted the interest of prospective buyers from all over the world, including the UK. The site is currently having a road built through it which will connect it to the Atlantic and Pacific Oceans as well as giving access to Chilean ports in just four hours. The area contains two rivers, aiding irrigation, and it will soon be linked up to the local electricity network.